Milford Planning is thrilled to announce that the Planning Institute of Australia has awarded the Hinchinbrook Flood App as the winner of the Best Small Project in Queensland at the recent 2018 Queensland Awards for Planning Excellence. The Hinchinbrook Flood App is a web-based application developed by Milford Planning, GP One Consulting and Hinchinbrook Shire Council that equips community members, Council officers and the development industry with a new tool that simply and clearly communicates the level of flood hazard and corresponding planning controls. 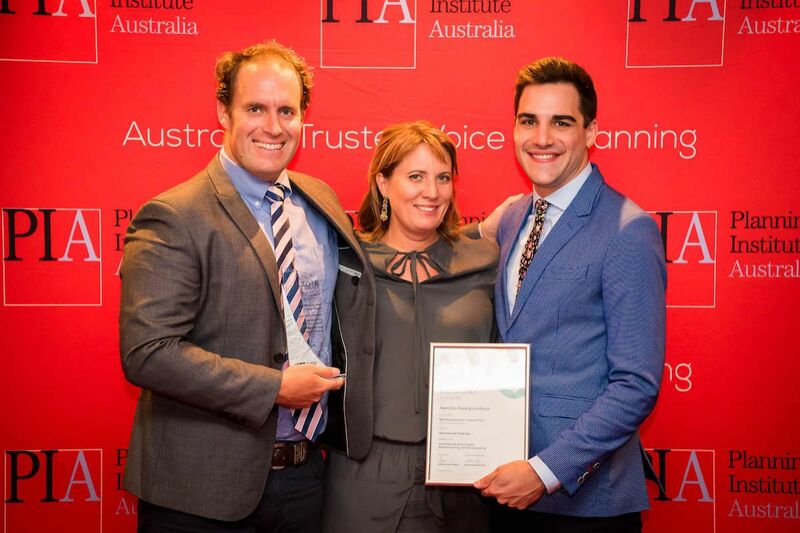 The 32nd PIA Queensland Awards for Planning Excellence were held at the iconic Cloudland in Fortitude Valley, and saw the planning community from across Queensland come together to recognise projects and individuals who are delivering excellence in planning in Queensland. The Hinchinbrook Flood App was commended by judges for its innovation and the detail it provided to the community to assist in managing future natural hazards. The level of detail provided is typically not available in regional communities, with the model and small budget utilised to develop this tool making it easily transferable to other regions across both Queensland and Australia.